Cygames and Konami Digital Entertainment have announced Zone of the Enders: The 2nd Runner MARS, a jointly developed, remastered version of the hit title from 2003, Zone of the Enders: The 2nd Runner. The latest title in Konami’s breakneck robot battle series will avail of the latest 4K and VR technology to bring high speed robot action smashing its way onto modern consoles – and to the Tokyo Game Show, where visitors will be able to get their first glimpse of the game in action. Zone of the Enders: The 2nd Runner was the sequel to the PlayStation 2 title, Zone of the Enders and continued the high-octane, big robot, super-fast action that characterized the first title in the series. In 2012 the two titles were re-released as Zone of the Enders HD Collection, for PlayStation 3 and Xbox 360, which featured high definition visuals and updated UI. 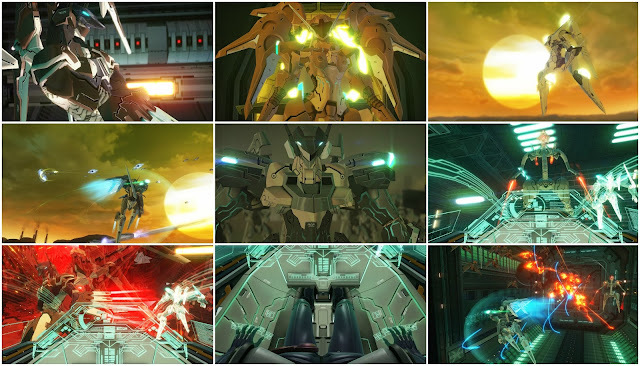 The current release is based on this high-definition version of Zone of the Enders: The 2nd Runner, but with a host of virtual reality content to truly immerse players into the experience of piloting a big robot. Using The 2nd Runner's unique graphics technology, ZOE Shader, all of the visuals have been completely overhauled for 4K technology and given cutting edge post effects, and all of the audio has been remastered, providing truly luscious stereophonic sound. Gamers will be able to experience the thrill of piloting a high speed giant robot for themselves at Tokyo Game Show 2017. The game will be playable at the Konami Digital Entertainment booth at the event, which takes place from September 21 to 24 at the Makuhari Messe convention center.